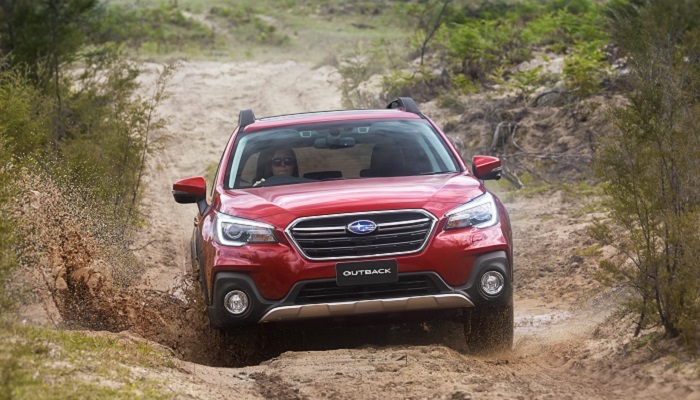 Outback maintains Subaru’s remarkable record in the respected Australia’s Best Cars (ABC) awards. Cars were evaluated by the NRMA, RACV, RACQ, RAASA, RACWA, RACT and AANT against a broad range of criteria including: value-for-money, design and function; and on-road ability. Finalists were tested over four days at the Australian Automotive Research Centre proving ground near Anglesea, Victoria. Outback was upgraded earlier this year with a fresh new look and a suite of Vision Assist features in premium variants that add to its All-Wheel Drive edge. It features redesigned front bumper, grille, headlights, wing mirrors and wheel patterns. There were exciting technical changes too: front and side view monitors on premium variants ensure the updated look is matched with the latest technology, including the new generation touchscreen audio unit, featuring Apple CarPlay and Google Android Auto technology. The third generation EyeSight® Driver Assist system added Lane Keep Assist. The 2.5-litre engine, suspension and transmission were also refined for greater response, efficiency and driving pleasure too. Subaru Australia Managing Director, Colin Christie, said: “Independence and objectivity are bywords for Australia’s Best Cars, which makes them highly respected awards by both Subaru and the public. Long regarded as a fun, flexible, family-friendly wagon, 11,340 Outbacks were sold in Australia last year. Outback established a whole new market niche, as the original crossover wagon when it launched in 1996. *ABC did not run in 2017.